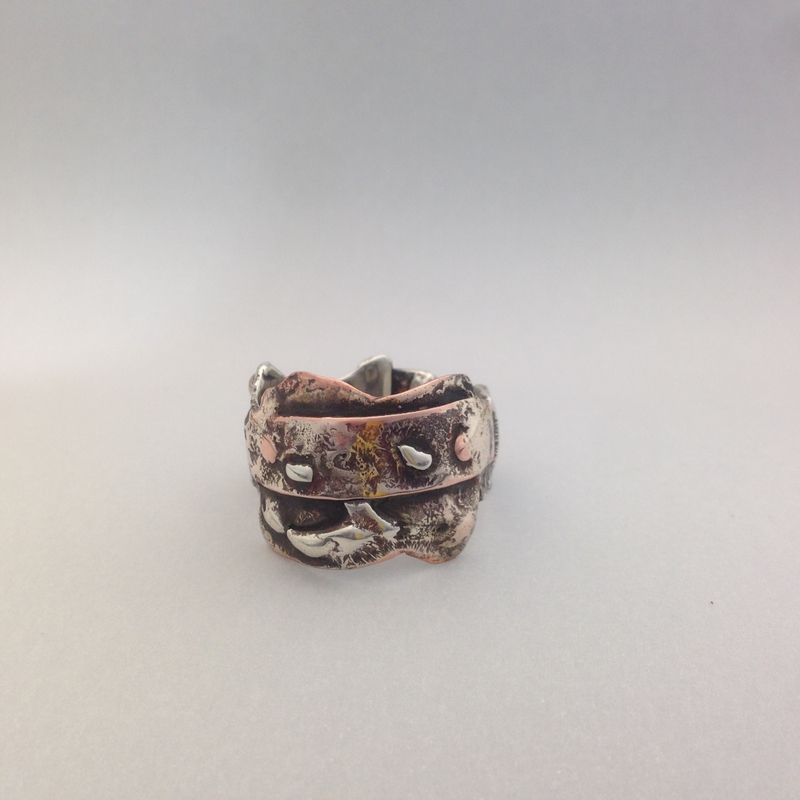 This ring is made by fusing silver and copper together with a torch. 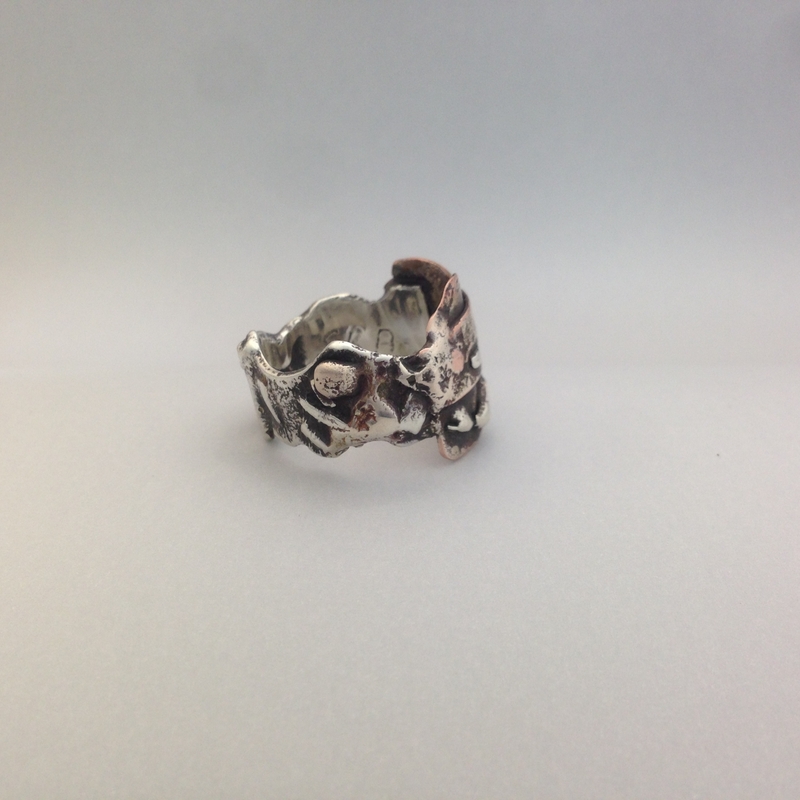 The result is a one of a kind ring. 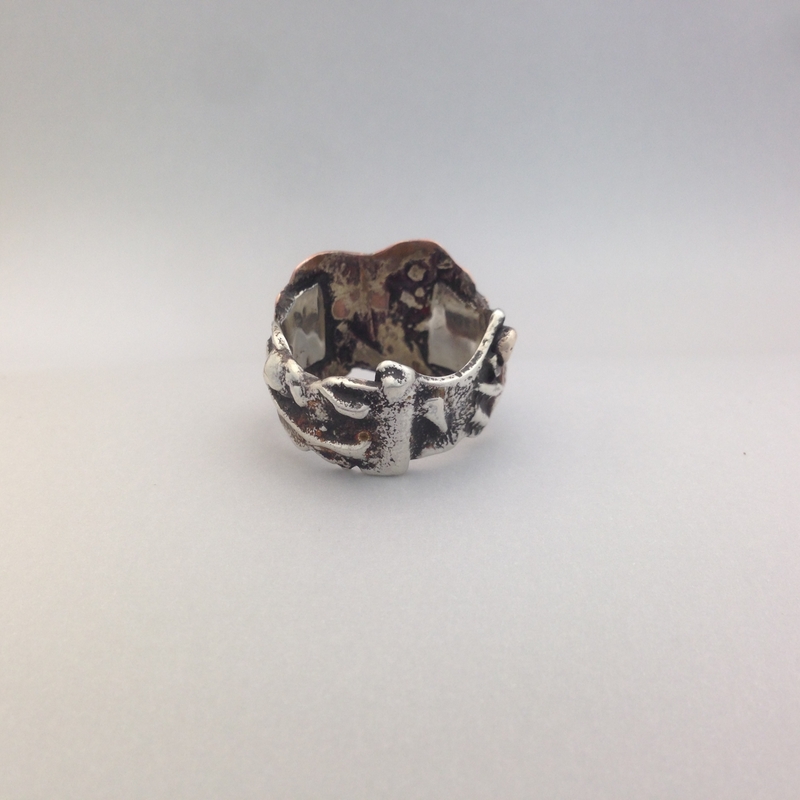 It is size 11.5 and is 3/4" at its widest and 3/8" at its narrowest. 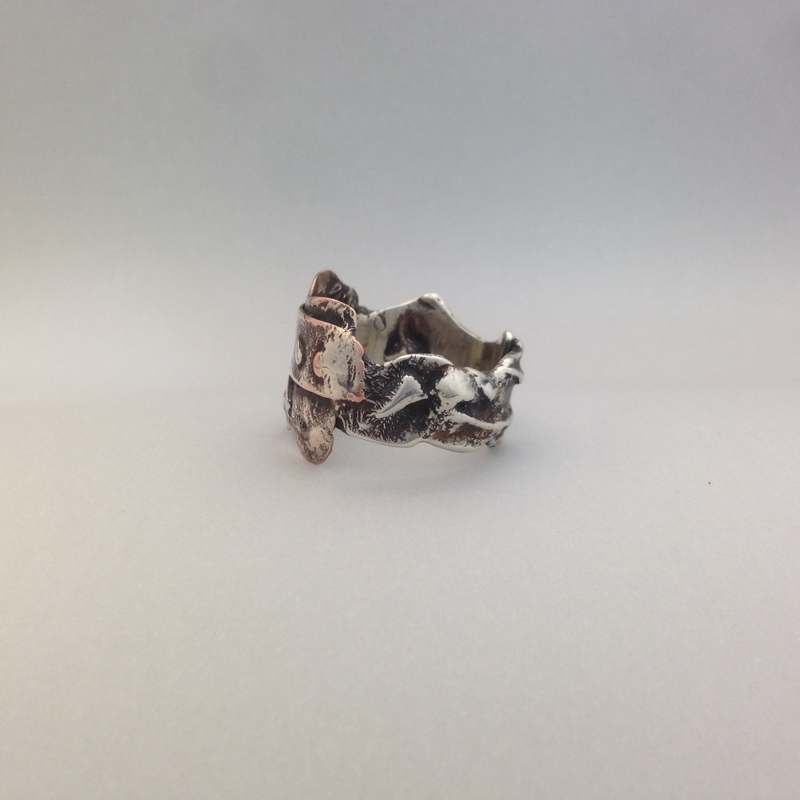 Because of its wide width please add 1/2 size to your normal ring size.